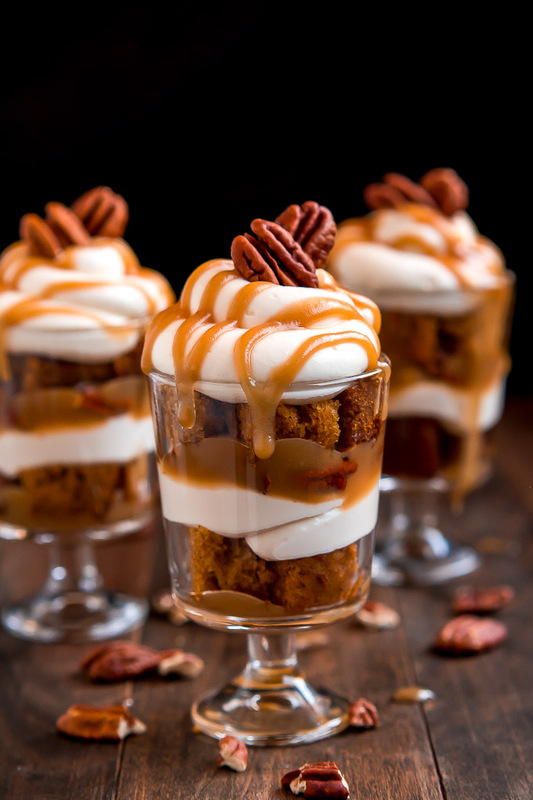 I first shared these Mini Caramel Pecan Pumpkin Trifles on Real Housemoms where I am a contributor. 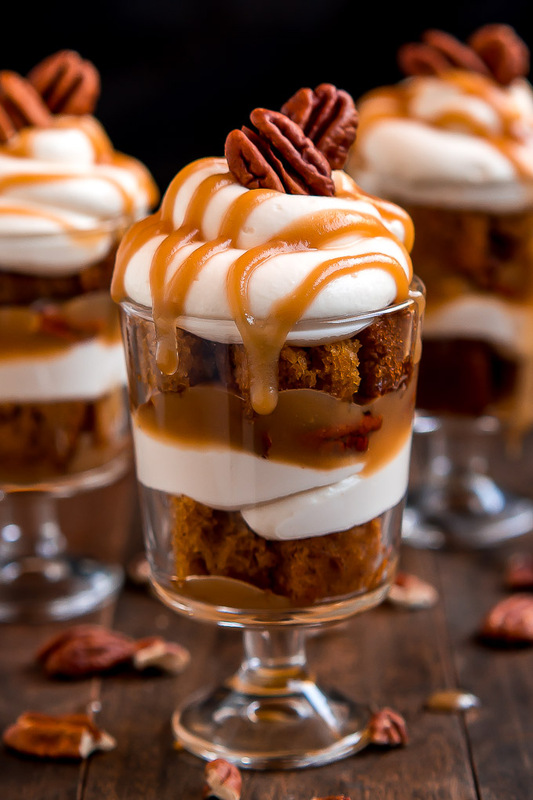 These Mini Caramel Pecan Pumpkin Cheesecake Trifles have layers of cheesecake filling, moist pumpkin cake, brown sugar caramel, and toasted pecans. Heaven! Best part of fall? PUMPKIN!!! I eat so much pumpkin in the fall, I’m surprised I haven’t turned orange. It happened when I was a baby. True story. Orange food is just better. 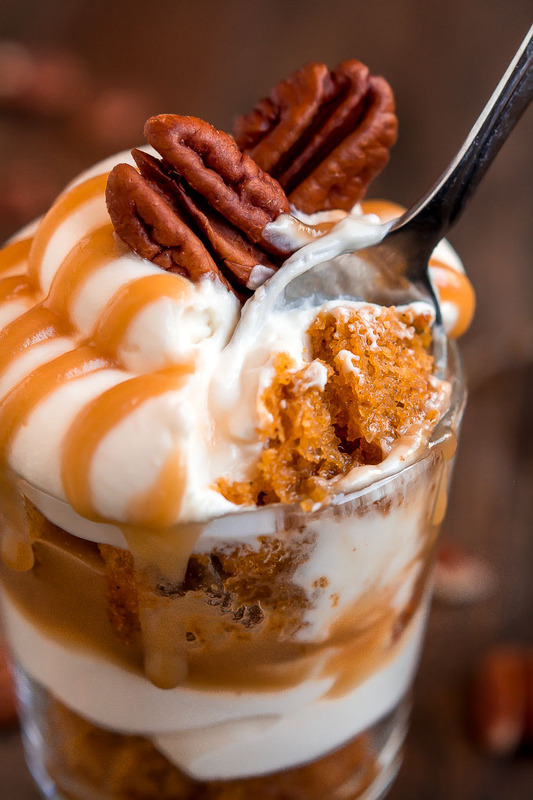 But really, I’d rather turn orange than give up Pumpkin Bread with Cream Cheese Frosting, pumpkin pancakes, squash, pumpkin soup… these Mini Caramel Pecan Pumpkin Cheesecake Trifles. The other parts of fall like the cool weather, colorful leaves, scarfs, layers, and cute boots are pretty great too, food is just on the top of my list. I don’t make trifle very often just because it’s a TON of dessert so mini trifles were born. 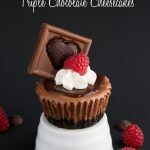 Awhile ago I created these rich chocolate Raspberry Brownie Cheesecake Trifles that I couldn’t get enough of, but for fall I decided to go with the beloved pumpkin. All you do is make a simple pumpkin cake. It is so easy, it takes less than 10 minutes to measure, mix, and pop it in the oven. Then you just cut up the cooled cake. 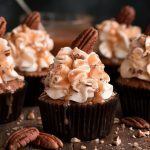 The caramel component to these Mini Caramel Pecan Pumpkin Cheesecake Trifles is divine and also quite easy. 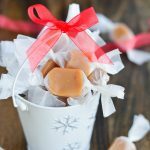 If you’ve ever made caramel sauce you’ll know that if you lose focus for one second it can be ruined so this simple caramel goes high on my list. It also has a rich butterscotch flavor since it calls for brown sugar instead of granulated. Buuuut if you want to be lazy you can just buy caramel sauce at the store. The cream filling is more of a cheesecake filling, similar to cream cheese frosting but a bit lighter since the cream cheese is mixed with whipping cream instead of butter. Basically this is pumpkin cheesecake without all the fuss and worry of baking a cheesecake. You’re welcome! These cute little trifle dishes are from Ikea but you can order them here on Amazon or easily use cups (clear plastic cups would be cute!) or bowls, or just make one big trifle. Enjoy! 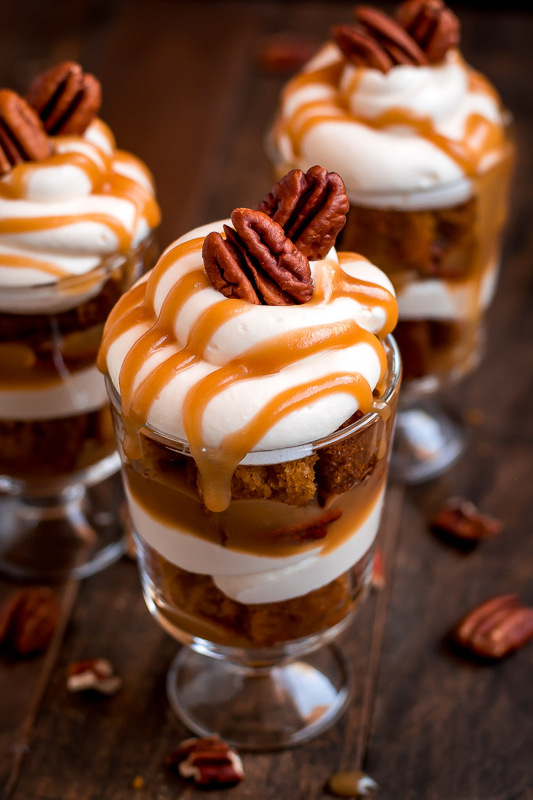 These Mini Caramel Pecan Pumpkin Cheesecake Trifles have layers of cheesecake filling, moist pumpkin cake, brown sugar caramel, and toasted pecans. Heaven! Preheat oven to 350 degrees F. Grease a 9x9 inch cake pan. In a large bowl, mix flour, baking powder, baking soda, salt, cinnamon, and pumpkin pie spice. In another bowl, beat sugar, pumpkin, oil, milk, and eggs together. Mix in the dry ingredients until combined and then pour into the greased pan. Bake for 20-25 minutes until toothpick comes out clean. 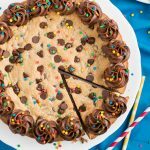 Let cake cool completely. Cut into bite size squares when cooled. Heat butter, brown sugar, and whipping cream in a 2 quart pot over medium heat, gently stirring with a wooden spoon or heat resistant spatula. Once it comes to a boil, cook for 1 minute. Remove from heat, stir in vanilla and let cool slightly before pouring into a jar. Store in fridge until ready to use. Place pecans on a baking sheet and bake at 350 degrees for 7 minutes. Remove from oven and let cool. Beat cream cheese and sugar together until smooth. Add the whipping cream and vanilla and beat until stiff peaks form. Place in a piping bag for assembling the trifles. Pour about a teaspoon of caramel into the bottom of each dish/cup. Add a layer of cubed pumpkin cake followed by a layer of filling. Sprinkle on about a tablespoon of pecan pieces and then drizzle with more caramel. Repeat the layers until you get to the top of your dish/cup. End with a drizzle of caramel and pecan halves. Serve immediately or if making in advance, hold off on your last drizzle of caramel and pecans and store in the fridge overnight. Drizzle on caramel right before serving. Hi Melanie! I tried to contact you through your contact form but its broken! 🙂 I was just going to go on and on about how delicious and evil these pumpkin cheesecake things look!! 🙂 And offer to help with your website if you need anyone! Thats my jam and I found you on Pinterest – yum! !